If you’ve been around these parts a long time, you’ll know I have a huge (massive, out of this world) woman crush on Marina Diamandis. I’ve dressed up as her, listened to her albums over and over again wondering how on Earth she knew what was going on in my head. I’ve also never seen her live which is something I need to fix PRONTO, but for now I thought I’d just dress up as her again because, hey, why the heck not? 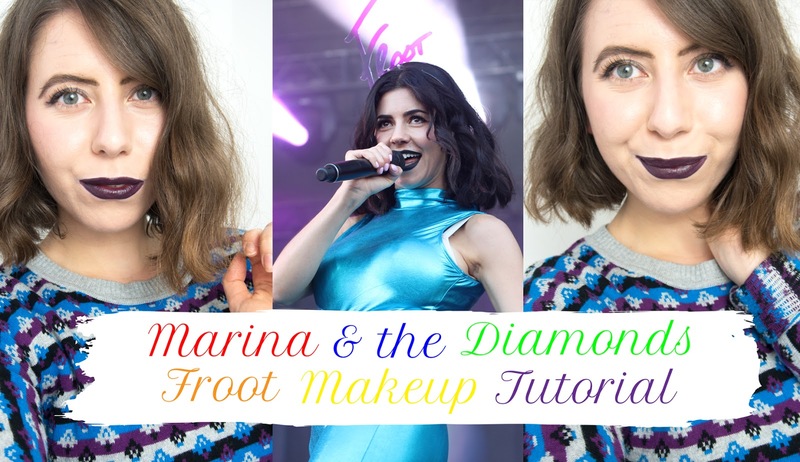 As part of her ‘Froot’ era, Marina has been rocking that all important AW dark-purple lip so I got to work recreating the shade with a shaky hand and lots of liner – it’s a must, but makes for one dramatic and awesome look I assure you. Are you a fan of Marina? Do you want to see more beauty tutorials? Who is your woman crush? Previous Post ORGANIC BEAUTY WEEK: WHY SHOULD YOU BUY ORGANIC?